Oakville and District Labour Council Chair Dave Millar welcomed the approximately 200 attendees and introduced the M.C. for the evening Joey Edwardh, Executive Director of Community Development Halton. Minister Flynn spoke very frankly about the need for revisions to existing labour relations laws and the process his government had followed to bring these to completion. He did not hesitate to confess that there were difficulties along the way but felt that the end product was an enforceable document that would serve to change the lives of Ontarians for the better. Lesley Sprague of Poverty Free Halton and Tina Agrell of AWH circulated among the audience to collect their written questions. The host organizations each had an opportunity to pose a question to the Minister. Oakville and District Labour Council, Dave Millar, Chair asked: The Fair Workplaces, Better Jobs Act signals significant changes to Ontario’s labour and employment legislation. What strategies does the Government of Ontario have to guarantee that workers become aware of their new rights and how can they be empowered to move beyond fear, to act on these rights? Minister Flynn noted that information will be made available to workers and that the government will hire many new enforcement officers to inspect working conditions and enforce the new act. Poverty Free Halton, Maureen Weinberger, Chair asked: There are exclusions in this legislation that leave out some of our most vulnerable workers. We are very concerned about this. Halton and surrounding jurisdictions are still considered rural areas where agricultural workers are employed. Agricultural workers are some of the province’s most vulnerable workers, and they are excluded from the new legislation, the Fair Workplaces, Better Jobs Act. They will continue to operate under the grossly inadequate Agricultural Employees Act of 2002. This means Ontario will continue to be the only province in Canada where farm workers do not have the right to unionize, a right that had been given in the 1990’s, was taken away by a previous government and not restored by yours. Why did your government not move to protect agricultural workers immediately in this new legislation? Minister Flynn explained that discussions were already under way to address this issue. 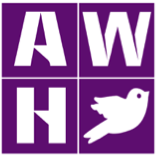 Advancement of Women Halton, Ancilla Ho Young, Chair asked: AWH welcomes this legislation, because it goes a long way towards improving conditions for women in the workforce. Can you tell us how the Fair Work Places, Better Jobs Act fits in with the ongoing work of the government on gender equity and wage parity? Halton Non-profit Network, Jody Orr, Coordinator asked: The Ontario Government provides funding to non-profit organizations that serve as delivery agents for a wide range of important if not essential services to Ontario individuals, families and communities. Research has shown that approximately 80% of a non-profit’s expenditure is on wages, salaries and benefits, (and we know that wages and salaries in the sector tend to be low.) Over the last decades, government funding to non-profits has remained stagnant while, at the same time, government expectations as to accountability reporting and evaluation have increased dramatically with no parallel commitment to pay for these increased costs. Therefore, while supportive of measures to increase the minimum wage, the Halton Non-profit Network would like to ask the Minister what commitment his government has to ensuring government funding will increase to non-profits in a timely fashion, so as to assist these organizations to meet their wage obligations in January without making cuts to staffing or essential programs and services? Community Development Halton believes that the Fair Workplaces, Better Jobs Act will positively affect working conditions in the non-profit community services sector. However, government has a unique relationship with the sector where Government is both funder and regulator. This creates an imperative that demands a non-legislative commitment to address the complexity of the Government’s relationship with the non-profit sector and its contribution to human well-being and civicness. Minister Flynn, will you advocate for and convene a cross-Ministry roundtable of representatives from the non-profit community services sector and the funding sector to develop an innovative and sustainable funding formula and labour market strategy that supports and sustains the sector and, ultimately, their contribution to the health and well-being of people across the province? Minister Flynn welcomed this idea and suggested a future meeting in order to discuss it more fully. There were also many interesting questions from the audience. Minister Flynn responded to them all in full and clearly had an in depth understanding of the new act and its ramifications. There has been some dismayed reaction from small business owners to the proposed increase in minimum wage and this will need to be addressed. Some union members expressed their disappointment that the government had legislated a return to work after a strike by community college staff. It was pointed out that it would be a shame to condemn Bill 148 because of this, as it represents a major advance in Labour Relations, a move unprecedented by other governments. The evening ended with coffee and cookies, provided by the organizers. AWH was satisfied with the event and feels that it is important to ensure free and frank discussion of new and proposed legislation, rather than resorting to demonization of political parties and wholesale rejection of policies based solely on partisanship.